The Most Efficient, Economic and Effective Way to Increase Visibility ! Are you ready to maximize your impact? Many academics and researchers haven’t been trained on how to communicate their work to mainstream audiences. Distilling research and ideas into a blog post, tweet or quote for an article can be challenging. This is not about “dumbing down your research” but rather a rigorous process to communicate the key implications to the public. Many shy away from external communications opportunities and leave the benefits on the table. Our training helps you have impact. This impact has different significance for different individuals. It could be getting your ideas and research into the public space and sharing your knowledge with key audiences. This might lead to changing people’s behavior or perspective on a particular topic. Perhaps it relates to career impact and generating new opportunities as the result of strategically communicating your work to public audiences. We give you the tools, frameworks and confidence to effectively communicate and achieve your impact goals. We help you personify the notion of a social business. Your subject matter experts have the means to communicate to audiences directly and essentially serve as your ambassadors. Our workshops save you time - we’ve prepared everything for you and our materials serve as an ongoing learning resource for your colleagues. It saves you money: you can hire new communications staff, or for a fraction of the cost, train those individuals sitting on the sidelines. Just imagine how much more positive visibility your brand can generate by having a greater number of your colleagues communicating effectively? Kevin Anselmo is the Founder and Principal of Experiential Communications. His services focus on communications strategy development, media training, PR execution, coaching, workshops and events. 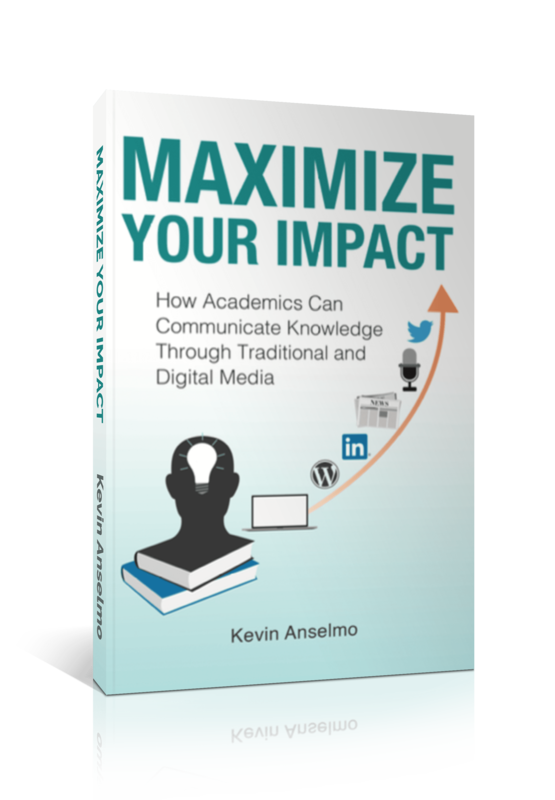 He is the author of Maximize Your Impact: How Academics Can Communicate Knowledge Through Traditional and Digital Media. Current and past clients include College Advising Corps; Duke Corporate Education; Duke University Center on Globalization, Governance & Competitiveness; Geneva Centre for Security Policy; IEDC Bled School of Management; IMD; Montreux School of Business; Nestle; North Carolina State University’s Emerging Issues Initiative; North American Society for the Sociology of Sport; Seattle University; University of Tor Vergata in Rome; and VIF International Education. 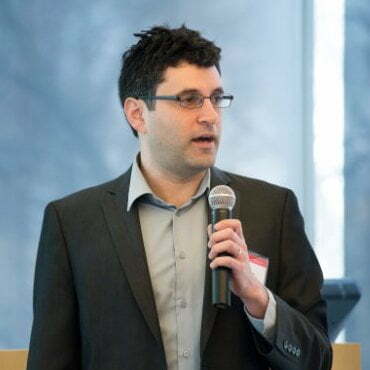 Previously, Kevin was Director of Public Relations for Duke University’s Fuqua School of Business and prior to that managed media relations for IMD in Switzerland. He lived and worked in Switzerland for eight years and in Germany for two years. Currently, he resides in Chapel Hill, North Carolina with his wife and two young boys. • Select sections of media training content highlighted in the “Maximize Your Impact”. • Your internal communications policies. • The key messaging of your school or organization. • Available resources (such as institutional social media feeds, photos, websites, etc). • Messages from senior leadership on the importance of external communications for your organization with the goal of generating buy-in from professors, researchers and others. 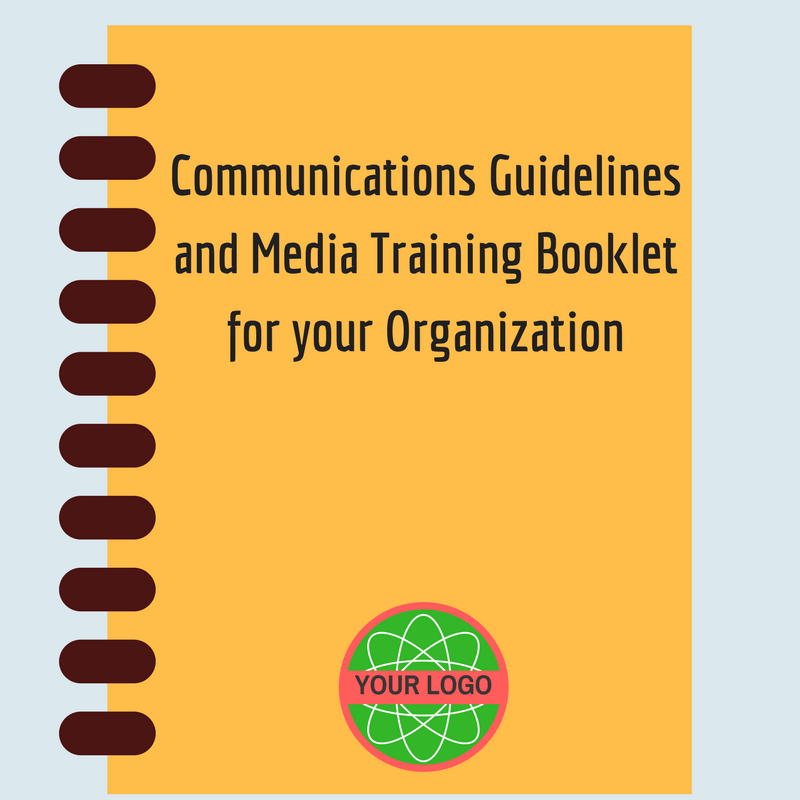 Such a resource is invaluable to cascading your communications strategy, mobilizing your colleagues and providing relevant education. “It is not enough to do great research. Researchers must also be able to translate their research for different audiences. 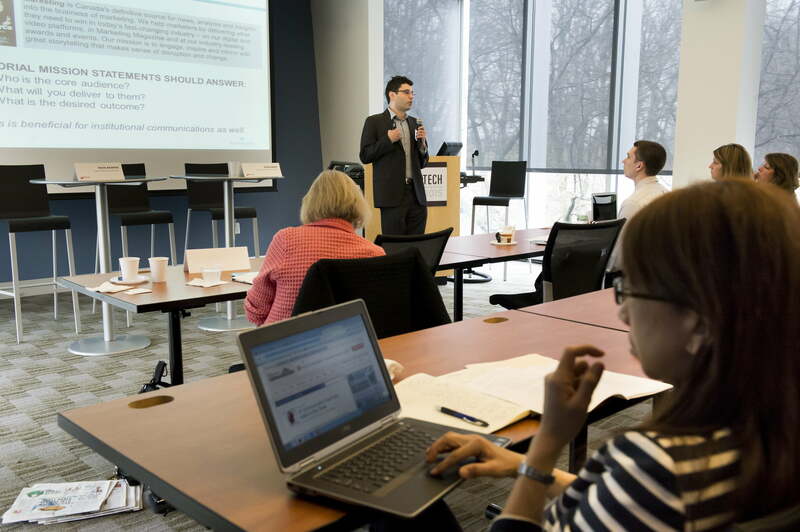 For a mission-based nonprofit research organization like RTI, our research often informs policy and future research funding, which makes translating and disseminating research critical to our success. Yet research dissemination skills are not skills researchers typically learn in their graduate programs. 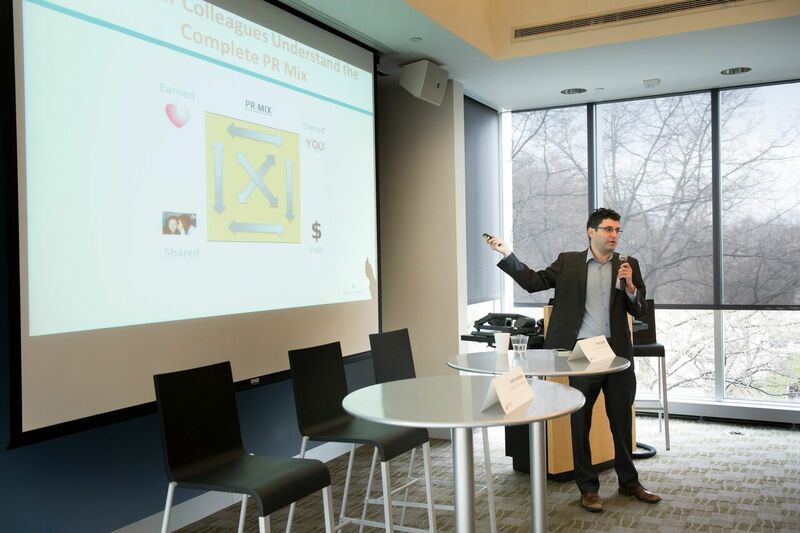 To help over 50 RTI researchers define and tell their stories, we brought in Kevin Anselmo to provide a series of strategic communications workshops. "Translating research into short articles that resonate with external audiences enables us to scale our work dramatically and leverages the power of the serendipity. Sometimes it takes just one person who accesses our content and then wants to work with us as a result. At the Center for Advanced Hindsight, we needed to step up our researchers’ skills set in communicating their work. Kevin Anselmo of Experiential Communications customized his curriculum for our group and led an interactive, hands-on workshop that was very well received by our research team. Using the materials Kevin presented, I have read several compelling articles from my colleagues that we have been able to disseminate on our blog and external media outlets. Our team’s ability to better communicate their research findings will benefit us for years to come." Thank you for taking the time to review this page. Let's set up a time to discuss how we can customize a workshop for your school or organization. I look forward to the possibility of working with you!